Phineas Rose Studios is a family owned and operated business. 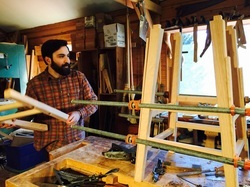 Established in 1977, by Richard and Ninika, as Phineas Rose Wood Joinery, the studio has grown to include the work of their son Alec as well, and now features unique handcrafted jewelry and sculpture, as well as woodworking. Richard Gordon is a self-taught woodworker, who has spent the last forty years honing the art of fine furniture building. He works with a variety of traditional hand tools, and each piece is joined together with solid wood joinery, and made of the finest American hardwoods. Follow Richard on Facebook at Phineas Rose Wood Joinery. Ninika is the daughter of a potter and a bookbinder, and has tried her hand at many artistic endeavors. She worked alongside Richard in the wood shop for over thirty years, before returning to her original love of silversmithing. Each piece of her jewelry is a one of a kind original, and is inspired by organic shapes and textures found in nature. Follow Ninika on Facebook at Phineas Rose Jewelry Studio. Alec grew up going to craft fairs with his parents, where he picked up an eye for a variety of crafts. 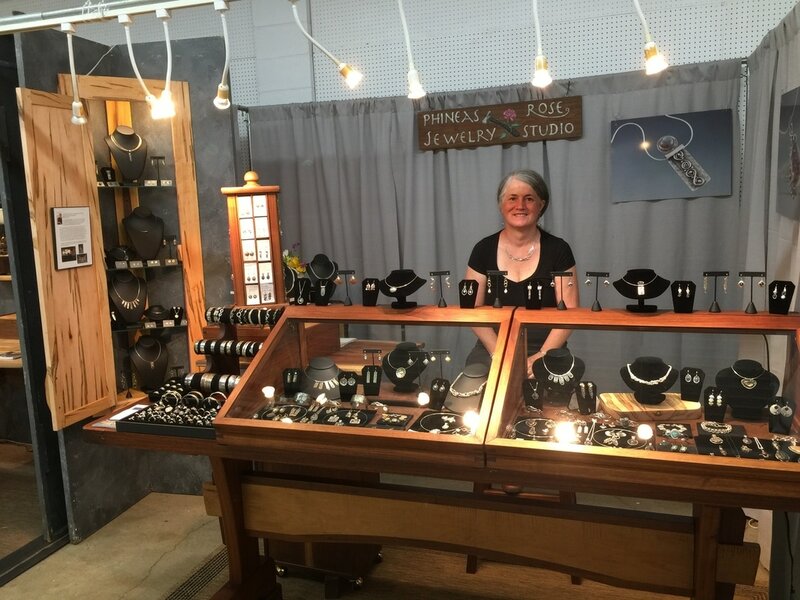 He works primarily in the wood shop, but also creates semi-precious stone cabochons which are used in the jewelry studio, as well as designing his own mixed media sculptures, featuring a variety of stone, metal and wood.